This volume takes the reader on a journey of discovery through the development and playing techniques of more than 100 instruments. Whether you are a fan of jazz and blues, classical or pop music, an active musician or a passive listener, this book should prove informative. Music has been a part of every culture for many thousands of years and making music has long been considered an art form. Through the centuries, music has served many purposes, from primitive rituals to lavish court entertainment, ancient religious servcies to modern secular music. The development of musical instruments is a fascinating story: from the earliest music-making devices right through to the varied and sophisticated instruments being made and played today. Instrument-making is a highly skilled craft and pieces are often beautiful creations, works of art in themselves. Today, many early instruments are valued collectors' items. 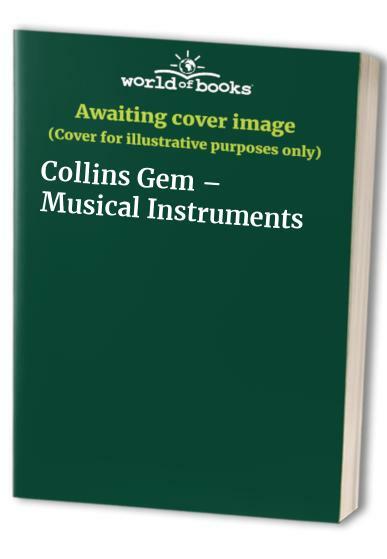 Whether you are a fan of jazz and blues, classical or pop music, an active musician or a passive listener, Collins Gem Musical Instruments will take you on a journey of discovery through the development and playing techniques of more than 100 instruments. For some, many of the instruments in this book will be new or unusual.